The 2013 I2SL Annual Conference is just over four months away! I hope that you will join us in Minneapolis, Minnesota, September 24 through 26 for this one-of-a-kind event. This year's conference will include a tour of laboratory buildings on the University of Minnesota campus, pre-conference workshops, the Technology and Services Fair, Working Group meetings, and much more. This exceptional educational event provides a great opportunity to gain continuing educational credits. Participants can earn credits by attending workshops, technical sessions, and symposia. I believe that you will find this year's conference agenda to once again be a great educational opportunity. Please take a few minutes to see the many sessions we have planned for the conference. Like what you see? Registration for the conference is now open! Register today to secure your spot. Product and service providers can join the growing number of organizations registered to exhibit in the Technology and Services Fair. Reserve your booth on or before May 31, 2013, to save $500 and have the opportunity to showcase sustainable buildings and equipment for high-tech facility owners and purchasers. Meet industry experts, network with colleagues, share your expertise, and discover the latest in high-tech building technologies and equipment that improve the sustainable performance of laboratories and related high-tech facilities. The 2013 I2SL Annual Conference is sure to be a great event for our industry, and I look forward to seeing you there. From powering data centers to empowering building staff, the following reports provide insight into ways high-tech facilities across the country are saving resources. This white paper, featured in Mission Critical Magazine in February 2013, discusses new energy efficiency strategies available for data centers. Specifically, the paper focuses on distributing power to IT loads at high voltages using either AC or DC power distribution, and compares the advantages and disadvantages for each option. Learn about the University of Pennsylvania's new program designed to reduce the environmental impact of everyday laboratory operations. Green Labs @ Penn helps staff do their part in reaching the goals outlined in the university's Climate Action Plan by providing a "how-to" guide that includes an action checklist, a commitment form, tips, and resources. How Important is Training for High-Tech Facility Professionals? It's going to be a busy summer as I2SL's Working Groups plan activities for the 2013 I2SL Annual Conference. Become an I2SL Member so you can get involved with these active working groups that are helping to shape the sustainable laboratory and other high-tech facility industry. Learn more about I2SL's Working Groups and how you can get involved. I2SL and Laney College, a National Science Foundation-funded Building Efficiency for a Sustainable Tomorrow (BEST) Center, are collaborating to identify education and training needs and strategies for high-tech facility operators. Through interactions with industry stakeholders, the partners believe available education and training paths do not adequately address the increasingly complex knowledge, skills, and aptitudes needed to operate and maintain high-tech facilities. With many more high-tech facilities being created and their energy and sustainability performance requirements becoming more stringent, an even greater shortage of qualified building technicians for high-tech facilities is expected. I2SL and Laney College developed a survey to gain the opinions and expertise of high-tech facility managers, operators, and others as to whether specific types of training and a certification for high-tech facility professionals are warranted. Take the survey at http://www.surveymonkey.com/s/high-tech-O-M and share it with your colleagues or clients. Survey results will be revealed at the 2013 I2SL Annual Conference. We look forward to your input! The Conference Agenda is Posted and Registration is Open! Reserve your Technology and Services Fair booth early to secure a prime spot. Reserve your booth on or before May 31, 2013, to save $500. Register for a booth today. Register to attend the 2013 I2SL Annual Conference. Register on or before July 12, 2013, to save $100. 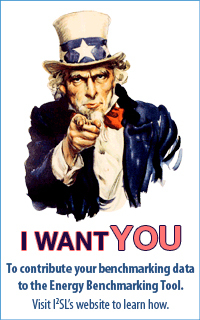 Sponsor the conference now to maximize your exposure to conference attendees. The 2013 I2SL Annual Conference agenda is now available and is filled with great technical sessions, symposia, morning roundtables, technology demonstrations, and posters. Like what you see? Register now to join I2SL in Minneapolis! Register before July 12 and save $100! 2013 Technology and Services Fair—New Equipment and FREE Admission! The Technology and Services Fair is a great opportunity to showcase technologies, systems, and services available for high-tech facilities. Plus, this year's exhibitors include manufacturers of autoclaves and freezers, equipment new to the Technology and Services Fair. Register by May 31 to receive $500 off the booth price. Reserve your booth on or before May 31 to save $500. 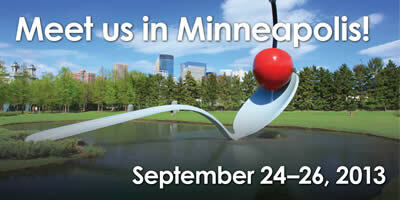 Looking for a way to get potential customers to your booth in Minneapolis? Let them know that admission to the Technology and Services Fair is FREE for everyone! Once in the exhibit hall, participants can partake in an Around the World activity (i.e., checking in at each booth) for the chance to win a free 2014 I2SL Annual Conference registration. Are You an I2SL Member Yet? Dozens of I2SL Members are enjoying several benefits, including the opportunity to start or join I2SL Chapters, free access to I2SL's High-Tech Talk Webinars, voting roles in I2SL's working groups, and free access to past Labs21 Annual Conference presentations. Don't miss out on these opportunities. 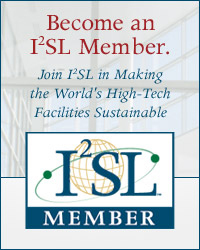 Become an I2SL Member today. Colorado, Illinois, and Singapore are all making great strides toward forming their own I2SL Chapters. Representatives in these regions are gathering interested Members, planning kick off meetings, and discussing Chapter activities. If you live in one of these regions and would like to get involved, contact I2SL and we will put you in touch with the appropriate Chapter contact. If you are interested in forming an I2SL Chapter in your city, state, or country, please contact I2SL for more information. At the 2013 I2SL Annual Conference, we will offer an informational meeting on forming or joining an I2SL Chapter. The pioneering leaders of the forming Chapters will also be available to share their experiences. Check back to the conference agenda for details. What motivates users to save energy? It could be as simple as a sticker. A report published by the U.S. Department of Energy in March 2012 studied what happened when laboratory managers at the University of California (UC) Davis and Santa Barbara campuses installed stickers on fume hoods to encourage users to save energy. The colorful stickers reminded those working in the laboratory to close the fume hood sash after use in order to maximize variable-air-volume system efficiency, improve worker safety, and increase sash closure persistence. At UC Davis, findings showed that the stickers alone resulted in 90 to 100 percent compliance within 22 months of installation. Stickers have also been used to congratulate laboratory users that have already committed to adopting efficient practices. 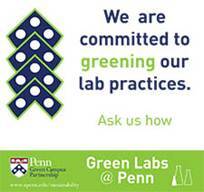 At the University of Pennsylvania, the Green Labs program awards labs with a Commitment Sticker if 75 percent of their members and their department chair commit to implementing efficient laboratory practices. Read about Genetech's Green BioPharma program, which implements new technologies and methodologies to reduce the environmental impact of biopharmaceuticals. Learn about the benefits of using energy-efficient fume hoods. This case study focuses on the Alan MacDiarmid Building at Victoria University of Wellington, a world-class research and teaching facility. Challenged with the task of designing an energy-efficient and environmentally sustainable laboratory, a team from Carnegie Mellon University designed a laboratory complex on St. Croix that functions with extreme efficiency and minimal environmental impact. Read the abstract to learn more about the energy-saving measures employed in the design. Learn how the adoption of BAM can help create higher-performing buildings through the use of BIM. Using modeling processes to optimize buildings and understanding BAM capabilities will contribute to meeting the goal of carbon neutrality. Water conservation is important in laboratories, particularly at facilities in the extremely dry southwestern United States. Learn about water conservation trends in laboratories in this area through this study conducted in southern California, Nevada, and Arizona. Read about a data center that was integrated into an existing laboratory at Colorado State University in such a way as to recover energy. Sustainability requires up-to-date information and ongoing data management. Learn how a building automation system data collection and reporting package can help you identify the measures that will lead to the most efficient system operation and long-term sustainability at your facility. Building, operating, and maintaining laboratory facilities requires unique skills and knowledge to protect workers. Fume hoods are commonly used to safeguard the health and safety of laboratory workers. This document discusses the types, design, performance, maintenance, and testing requirements for laboratory fume hoods. If you have a paper, case study, presentation, or useful information that you would like to share with the sustainable laboratory community through I2SL's E-Library, I2SL would like to hear from you! 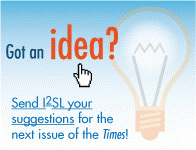 Simply email your submission suggestion to I2SL. Below are just a few of the industry events taking place over the next few months. Check out I2SL's Industry Events online calendar for a full list. Visit I2SL's online calendar to see more upcoming events, and email I2SL if you have an industry event that you would like us to share. Early booth registration for the 2013 Technology and Services Fair ends on May 31, 2013. Register for a booth today to take advantage of the $500 discounted rate! Register for the May 16, 2013, webinar: Exploring the Benefits for Proper Training of High-Tech Facility Operations and Maintenance Professionals. Sign up to view the most recent webinar recording: Exhaust Fan Energy-Saving Strategies. You only have until July 12 to save $100 on conference registration! Register for the conference soon to take advantage of this great offer. Browse the Labs21 Tool Kit on the I2SL website for sustainable laboratory Best Practice Guides and Case Studies. I2SL is dedicated to the design, engineering, and operation of high-performance, low-energy, sustainable laboratories and high-tech facilities. info@i2sl.orgwith "unsubscribe" in the subject line.